I’m in the process of designing plan for a museum doing visitor evaluation for the first time, and to paraphrase Sister Maria, I’m starting at the very beginning: audience demographics. But, is it a very fine place to start? 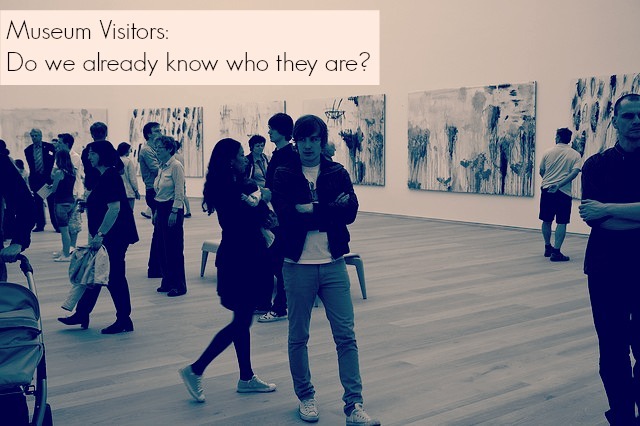 I already have an educated guess about who this museum’s visitors are. I’ve seen museums like this before, and I’ve evaluated many of them, too. And not just me – there are dozens of studies available about visitors to institutions with similar collections, size, exhibits, community composition, etc. And there are strong trends in that data that I suspect will also apply to this museum. So, is it worth allocating the time, energy, and cost on yet another demographic study, or can we extrapolate from the research that already exists to present an accurate representation of a museum? Are we wasting our time trying to reinvent the visitor wheel? Museums and their visitors are similar to one another, but not identical. Therefore, the larger questions are: 1) How often do we expect visitors to surprise us and 2)How frequently should we look for it? There’s always the possibility of dark-horse demographics, but how often do we learn something entirely new? And when is it okay to stop asking the same old questions? I am sure that museums need to be better at sharing the research we’ve already done. As long as visitor studies stay filed away in cabinets and locked inside subscription journals, and as long as museums don’t talk to one another about what they’ve done, some institutions will stay stuck on those same first questions and never move on to the good stuff. So, when should a museum establish their own demographic information and when should they make an educated guess? It depends on the questions you have, the resources available, the plans you want to make, and the goals you want to achieve. For some museums one approach will make sense, for others it won’t. As for my upcoming project and my educated guess about those museum visitors? I’ll find out soon enough if I was right. We’re beginning with demographics, but it really is only the beginning. There’s a plan in place for developing deeper and more complex questions after, and hopefully we can also agree on a plan for sharing all the information once we’re done. ← Woah! Hey! Don’t Touch (Insert Object Here)! Great question! Having done evaluation for over 30 years and also seen demographics from museums outside of the U.S. the demographics are all the same. Sometimes, museums need to capture their own demographics for grants, board members, foundations etc… so if that is the case go ahead and do it but don’t put a great deal of time or money into it. Also talk to other museums in your region to see if they have done this. If not, why not partner with them to do a joint demographic study? All great advice, Conny! You’ve basically outlined our plan for the coming summer. I’m an ex-pat over in Germany, so I’m working with demographic data from the German Museum Association, and also comparing our results to AASLH and AAM compilations (and, as far as we know, this is the first study of this kind in our region. Hopefully the first of many!). This phase is easy, but the following work on motivation and community engagement will be interesting – especially since my German is painful at best! But I’m working with some great people and together I think it’ll be a success.